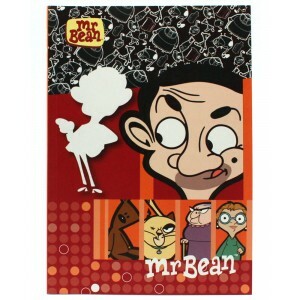 Meet Mr Bean and his friends, good and not so good. This handy notebook takes you on a colourful journey with Teddy, Mr Bean's lifelong best friend, his girlfriend Irma Gobb and the cool oh so cool relations with his landlady, Mrs Wicket and her one-eyed cat Scrapper who doesn't like Mr Bean that much. Jot into the notebook your usual way, plus you get the option to practise your Chinese characters too, in the convenient boxed lines.